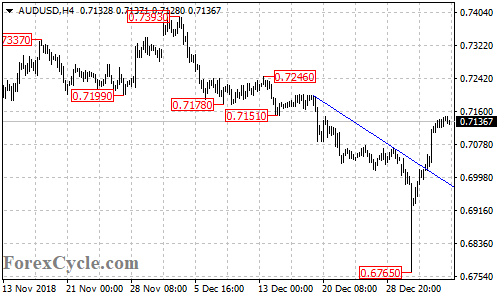 AUDUSD’s upside movement from 0.6765 extended to as high as 0.7149. Further rise is still possible after a minor consolidation and next target would be at 0.7300 area. Near term support is at 0.7050, a breakdown below this level could bring the price back to 0.6900 area.